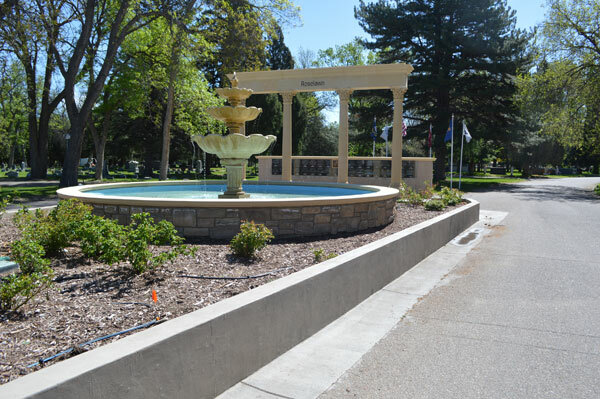 Roselawn Cemetery is important for its association with the development of Pueblo and the surrounding areas. It is the final resting place of individuals associated with events including the 1904 Eden Train Wreck, the 1918 Flu Epidemic, and the Great Pueblo Flood of 1921. A cross-section of Pueblo’s diverse early community is represented in Roselawn, with members from various ethnic groups present in large numbers. The evolution of burial customs, societal views on death, and the symbolism surrounding death are visible in the various grave markers and objects found throughout Roselawn. The cemetery is a good example of the “lawn-park” cemetery movement. Characterized by a park-like setting and formal arrangement balanced with natural elements, it reflects the evolution of cemetery design that moved towards a more uniform, less picturesque landscape than predecessors in the rural cemetery movement.